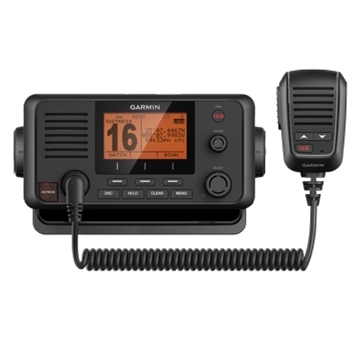 Garmin's VHF 215 with 25W transmit power and built in GPS keeps you connected while on the water. Whether an emergency arises or you're just trying to communicate with your buddies on the water the VHF 215 will do that and more! Including all US, Canadian and international marine channels, the VHF 215 also adds 10 NOAA weather channels. Simple to install, this compact fixed mount VHF can be networked via NMEA2000 or NMEA0183 to other devices on your vessel or stand alone and provide peace of mind that communication with other vessels and the shore in your area is just a button away! 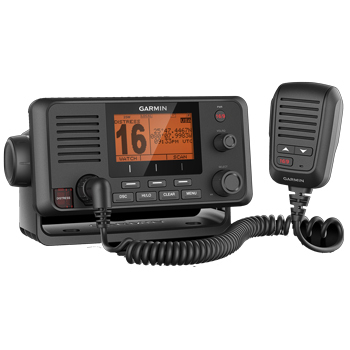 With its large, easy to read display the VHF 215 provides DSC calling (Distess calling and direct calling with user programmable MMSI) and includes a removable fist mic that can be mounted away from the radio! The Built-In Hailer adds the ability to communicate with people on the deck or away for the navstation. 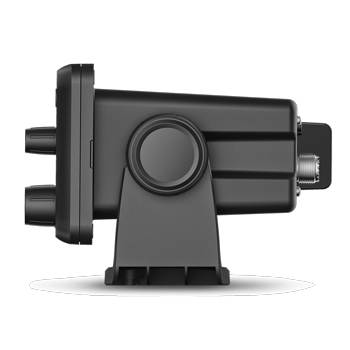 It is also compatible with the GHS 11 for a secondary station handset! Shakespeare's 5218 offers a small, black stainless steel 19" whip antenna with magnetic mount. Simple and easy to install.